Dr. Drayton Patterson recently hit several Amazon Best-Seller lists with “The Road to Success” co-authored with Best-Selling author and speaker Jack Canfield. Chicago, IL. 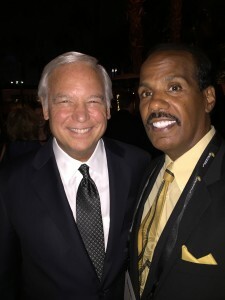 – October 3, 2016 – Dr. Drayton Patterson, a popular professional speaker and multi-award winning Psychologist, recently worked with several leading entrepreneurs and professionals along with Best-Selling Author® Jack Canfield, originator of the Chicken Soup for the Soul® series, to co-write the book The Road to Success. CelebrityPress™, a leading business book publisher, released the book on September 1, 2016. After such a successful release, The National Academy of Best-Selling Authors™, an organization that honors authors from many of the leading independent best seller lists, will recognize Patterson for his contribution. Click HERE to order a copy of The Road to Success . Dr. Drayton Patterson is a professional speaker and a multi-award winning psychologist, and was recently rated as one of the “10 Best Chicago Psychologists” by Thumbtack, a definitive list rated by the Chicago community. Professional consultative services are provided for large and small businesses, school districts, colleges, universities, sports teams, individuals, and athletes. Licensed in Illinois and a Nationally Certified School Psychologist since 1990, Drayton has provided psychological services for children, students of all ages, teachers, and administrators since 1984, has taught and lectured at the collegiate and university level, and is widely recognized for his research in self-esteem and self-concept enhancement. Affectionately referred to as “Dr. P.” and “Dr. Smoke” by athletes, Drayton’s pitching career was shortened at the Minor League level due to severe shoulder, back, and knee injuries. However, he has remained active in professional baseball for over thirty years as a professional baseball scout (Major League Baseball Scouting Bureau and Texas Rangers), Sport Psychologist (Texas Rangers and Toronto Blue Jays), served as a minor league pitching coach, third base coach, and was the first Ph.D. Psychologist to manage a professional baseball team (Minor Leagues). Dr. Patterson’s wealth of experience as a psychologist, educator, administrator, and athlete have provided thousands of individuals with information on how they can maximize their full potential to “be the best that they can be.” Drayton has traveled throughout the U.S. and beyond, delivering his holistic and positive psychology-based messages that educate and uplift individuals, helping them to realize that everyone has the power imbedded within themselves to succeed and become healthy, happy, peaceful, and prosperous individuals, and that this self-actualization can become a reality. The founder and former owner/president of Chicago’s “Stress Reduction Clinic”, Dr. Patterson has spoken to a wide range of audiences including Fortune 500 corporations, the Federal Aviation Administration, professional and amateur sports teams, religious organizations, and many educational institutions throughout the United States. Topics include subjects such as mental conditioning for success, decision making strategies, character development, stress management techniques, cultural diversity, enhancing your self-esteem and self-concept, and coping effectively with adversity. Published as an author in self-esteem and self-concept enhancement (Master’s Thesis and Doctoral Dissertation), Dr. Patterson also wrote a monthly newspaper column, Winning with Sports Psychology, was featured in VGM’s Career Portraits, written magazine articles, and his poem, REACH, was published in A River of Emotion, The International Library of Poetry. Dr. Patterson is a member of numerous psychological, sports, and educational organizations, and is currently the president of the Zoreda Rone Patterson Foundation (not for profit), in memory of his mother, a former “Teacher of the Year”, who passed away in 1993 of ALS. This foundation provides help and recognition to at-risk children, their caregivers, and the chronically and terminally ill.